Who do you know that would like to play in a marching band, perform all over the UK and make friends for life? In January 2015, the 17th Tonbridge Scout & Guide Band entered a new era. We put down our traditional bugles and fifes, and started from scratch as a fully chromatic band. Today, the band features a range of instruments including cornets, horns, euphoniums, trombones, clarinets, saxophones, flutes, cymbals, marching bells and drums. Our members are aged 7 to 24 and we’re over 45 musicians strong. 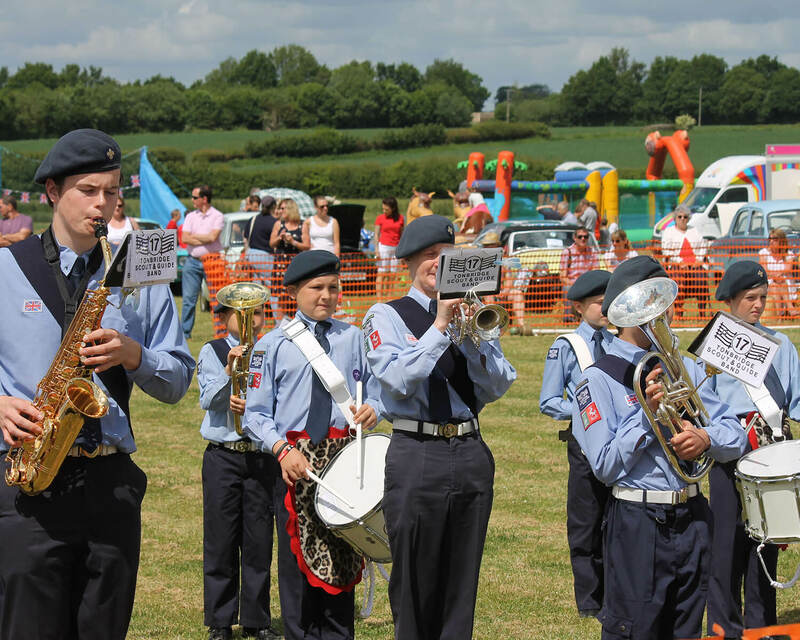 We’re proud to say that the band is open to all young people in the Tonbridge area. New members are welcome at any time, instruments are provided and life-long friends are guaranteed. Can I book the band for my event? If you are interested in having the band perform at your event or would like more information please contract the Bandmaster. The band is open to all young people in the Tonbridge area. New members are welcome at any time, instruments are provided and life-long friends are guaranteed. Practices are held at Hayesbrook School in Tonbridge on Tuesday evenings from 7.30pm to 9pm (8.30pm for younger members) and on Saturday mornings from 9am to 11am. There is a really easy way to raise funds for the band. Whenever you purchase something online from one of 100’s of suppliers the band will receive a donation. Click here to find out more.